← Weekly Photo Challenge: New Horizon…. Leaving the comfort of the Salalah Marriot, we headed up the coast. Oman is doing some major road expansion and the road from Mirbat to Hasik, which winds through crinkly foothills, is being straightened and expanded to meet up with the incredible road constructed from Hasik to Ash Shuwaymiyah, linking these two towns through a mountainous range. There are hundreds of small coves in this area, down little tracks which fishermen use and we intended to cover as many as we could. The area holds great interest for us as shell collectors, as there are shells that are specific only to Southern Oman and we hoped to further our knowledge in this area. It does require a good GPS and a lot of off road driving down tracks, winding through gaps in the lethal terrain. I say lethal as the mountains in this area seem to have forced their way out of the earth’s crust using razor-sharp edges. Great care needs to be taken as it’s lonely, no-one around and quite a long walk for help. Having lost several tyres in this sort of terrain previously, we had no wish to hear that whooshing sound as the air expels, the car lists and ruined black rubber requires effort to remove, in this lonely place. But when you park up, as the last bit is not car friendly and you crest a rock and find an empty bay, herons and reef fish your only companions in this beautiful place, or stumble across a long spit out to a little island and see turtles gliding through the water, it’s worth all the effort made. The trusty white Pajero, the go-nearly-anywhere car…. We had to walk to this cove, silent bliss…. This is a solitary area and the military have appropriated a large part of the coastline, fences are being installed and access to some of the area is no longer possible. But there is plenty more and we wound our way from cove to beach to cove throughout the day, walking miles around beaches, finding shells, seeing numerous birds, camels in khors, but few people. Only fishing boats out at sea. The winter months when the Indian Ocean is not a violent, raging maelstrom and the Khareef mists that pervade this area during the summer months have lifted, are the months when life seems normal in this southern region of Oman.This is very much off the beaten track and the peace of nature was enveloping. Hmm, who do those big paw prints belong to? During the winter months sunset is around 5.45pm, so when we stumbled on a totally isolated cove around 4pm, we knew the night’s camping spot had been found. Working fast so we could explore the cove before sunset, the camp was set up on the highest part of the beach. A slight dispute over the high tide line, the OH announced it was the line halfway up the beach, I disagreed but the tent was set above the highest line, tucked into a lee against the rocky cliff, so we shouldn’t get wet. Having seen no-one all day, I suddenly saw three figures picking their way around the headland over the razor sharp rocks. Wearing masks and looking not unlike ancient pearl divers, dressed in voluminous, wet baggy garments it was a strange and unexpected sight. Assuming they were local men, I waved and continued to pick my way across the opposite rocks. They all entered the sea and started to look underwater, one was carrying a large bag. I assumed they were collecting Haliotis mariae (Wood,1828) also know as Abalone, which this area is famous for. Then as they started to shout to one another I realized they were women. I’d never seen women in the water here before,these were local women at a weekend collecting food. One spoke to me but I don’t have Arabic and she didn’t have English, so we smiled, gestured, she lifted the bag, heavy with their finds to show me and they wound their way around the next headland searching for the delicacy. Our food grilled to perfection, we sat in this remote place, watching the sun disappear, calm seas lapping below. A perfect way to end a lovely day. Sleep beckoned early. Twilight and here comes the moon…. Around midnight I woke with a start. I could hear waves very close. The OH was also awake. Grumpily I grabbed the torch to open and check how close the sea was. I don’t normally wake in the middle of the night and being slightly dazed, I took a while to open the tent zip, worrying a bit about whether the sea was going to come up and over into the tent. I made a lot of grumbly, blaming noises and flashlight in hand rolled over into the sand outside to stand up. There is no light pollution in these remote areas, so the night was inky black, with only the heavens providing light from the myriad of stars suspended above me, so I switched my torch on and shone it at the cliff behind the tent to make sure I was alone. Not ten paces away on the ridge of rocks I caught sight of a large feline slinking up the rocks. From the position of it, it must have been on the rocks beside the tent. 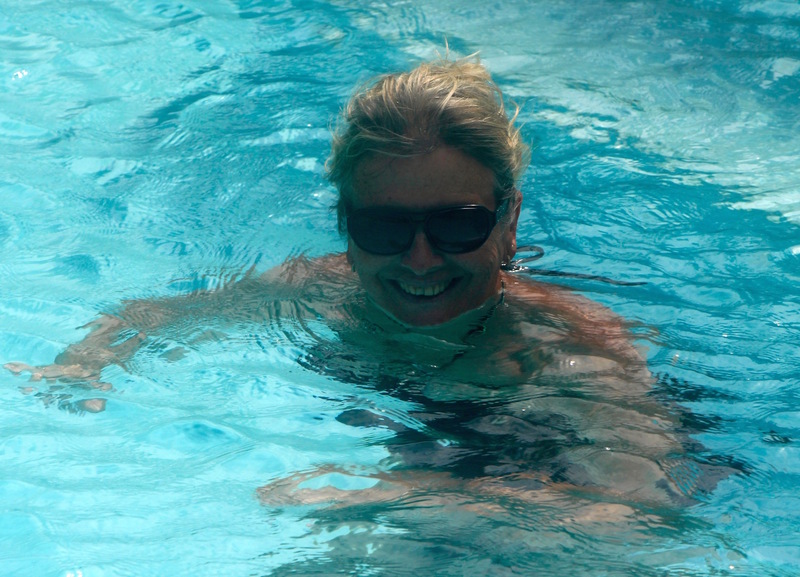 In a squeaky voice, I said: ” There’s a leopard on the rocks” . The OH shot out of the tent, he had heard something in my voice that made him know I wasn’t joking. Together we stood frozen, shining torches at the creature as it slunk up the rocks to the ridge on the top, unable to comprehend what we had just seen. Then we realized it was on the ridge watching us, as it’s eyes glinted in the torchlight. I went to the back of the tent and saw paw-prints in the shingle just behind us. At that point, I started to tremble, the car was parked too far away to safely pack up so I grabbed a blanket, phone, light and of course my camera and said: ” Let’s just get in the car”. Once inside we realized we were there until daylight. For two hours we periodically shone torches to the ridge top and our feline companion was lying on the top watching us. I took some photographs using light from the torches, but the light level was low making the shutter speed slow ( I was still adrenaline-fuelled so that didn’t help either) , so the shots were blurred. The OH was still adjusting to what we had seen and what was on the ridge and ran through a list of other felines it could be. But I know what we saw and he did too. Once I showed him the shots, it started to sink in. Finally, we drifted off into uncomfortable sleep and woke just before day break. Waiting until the light level was clear enough to show us that our companion was no longer around, we got out of the car. All around the car, up to my door, to the rear door and under the car, were paw prints. They hadn’t been there before we fell asleep, I spent enough time over the two hours with my eyes fixed to the window, checking the shingle and rocks for any approaches from our companion. Just making the assumption we were alone, we packed up, fairly quickly, water boiling for coffee on the go. I was unnerved in the light of day to find a pawprint one pace from my head, behind the flimsy nylon tent wall. It must have been a sixth sense that woke me. Well, whose prints were these? The OH told me he had woken about 15 minutes before I did, he had cramp so crawled out of the tent, not bothering to take a torch. He had rolled around on the mat outside the tent in total darkness trying to release the cramp. Our conversation was speckled with “What if’s” for a very long time. There are several felines in Arabia, The Caracal, Wildcat, Sand cat and the Arabian leopard. The closest match apart from leopard is the Caracal, but the animal was too large and I remain firm in the belief we were indeed checked out by an Arabian leopard. The Arabian leopard is critically endangered and the largest confirmed subpopulation inhabits the Dhofar Mountains in the country’s southeast. In the Jabal Samhan Nature Reserve, 17 individual adult leopards were identified between 1997 and 2000 using camera traps. The home range of Arabian leopards in this reserve is roughly estimated at about 350 km2 (140 sq mi) for males and 250 km2 (97 sq mi) for females. The Dhofar mountain range is considered the best habitat for Arabian leopards in the country. This rugged terrain provides shelters, shade, and trapped water, and harbors a wide variety of prey species, in particular in escarpments and narrow wadis. Our campsite lay on the coast, beyond the designated edge of the nature reserve, which has no man-made boundaries. Our plan had been to camp another night. We both knew sleep would be difficult, alert to every sound on the other side of the nylon so it didn’t take long to decide for a night of comfort at the Park Inn in Duqm, a 6-hour drive northwards up the coast road. Decision made, we headed off for a day of coast crawling, knowing we would sleep safely that night. Loved the post. The bird shots are great. Oman is high on my list of places I want to visit. Wilbur. Wow, scary to be that close to a leopard, but so lucky to see it, nonetheless. Lovely shots. And those razor rocks…I used to run the hash when I was out there, and I had the odd slip on those rocks. they could slice you open as easy as anything! 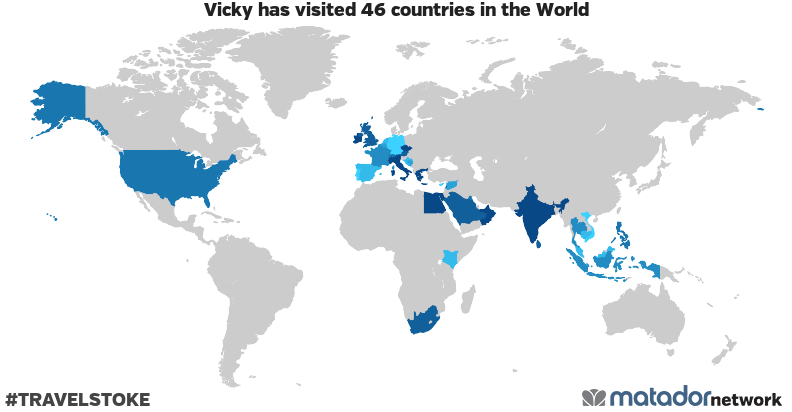 What a story, Vicky! Glad you have an alert sixth sense and were able to get yourselves to safety. Wow! What a spectacular place with amazing shots to document the wonders. I don’t think I will get to this part of Oman, but so glad you are sharing. Also glad you reached safety. What an adventure! Great photo shoot, thanks for sharing again great post. Thank you for stopping by Mohamed. It was a wonderful trip, I’d go back again like a shot, but possibly change my camping spot! Oman is destination of thousands of visitors across the world. There are few must watch place and one of them is Khasab Oman.